Since 1985, Colair, Inc. has been proudly servicing local businesses and restaurants in a reliable and cost-efficient manner. If you are in need refrigeration repair services, you can count on Colair, Inc. We can efficiently clean, diagnose, repair and maintain your refrigeration systems. At Colair, Inc., our well-trained contractors have a thorough understanding of all types of HVAC systems and can get them back to working condition in no time. We also specialize in installation, repair and maintenance of commercial refrigeration systems. 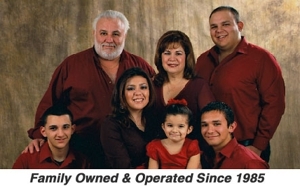 To learn more about our services, call us at (956) 271-8713.